It is no longer business as usual and it never will be. In today’s chaotic environment, only one thing is certain: CHANGE, and more CHANGE, and CHANGE at an unprecedented, ever increasing pace. Already too much has changed to allow business leaders to rely on business practices from the past, even the recent past. So what should leaders do differently as they attempt to navigate the treacherous path to business survival and success in the 21st century? The answer to that question is not simple, and many leaders are even ignoring the question itself. They are acting as if the key forces driving radical change are no more than background noise. 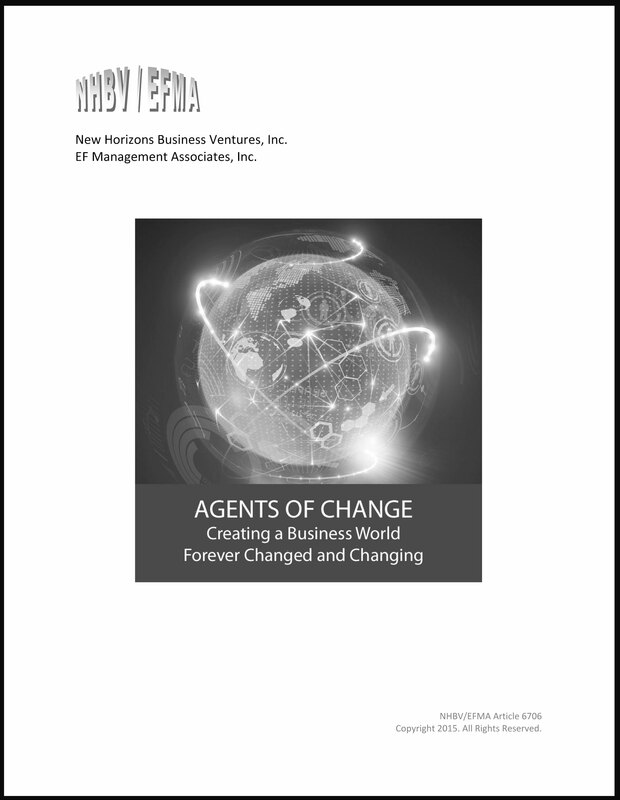 Therefore, in our new article we attempt to change that mindset by increasing awareness and understanding of what we consider the most important “Agents of Change” and then exploring their impact on today’s business. Areas addressed include “instant” communication, global “interconnectivity,” social media, science-based management methodologies, and sophisticated data analysis. By taking a step back to provide a different perspective and clearer view on what is happening as these forces converge, we hope to create the knowledge and attitude needed to kick-start a revolution in business management. Agents of Change are creating a technology dependent future. The pace of change is accelerating and will continue to increase. Speed has become the key to corporate survival. Global-Sourcing is the business path to the future. “Staying the course” is likely to result in corporate death. Business management needs to move from its empirical, intuitive world to one based on science and technology. If you are interested in reading more, this article and others are available for purchase and download from our Digital Store on our Web site: fatuzzobooks.com.